True 1 Bedroom/1 Bathroom top floor, corner unit, luxury tiny condo with full remodel. Income producer being rented as an AIRBNB rental (see rental income - it's just as breathtaking as the views). Enjoy 180 degree views form the Flat Tops to Emerald Mountain through the two large living room windows. 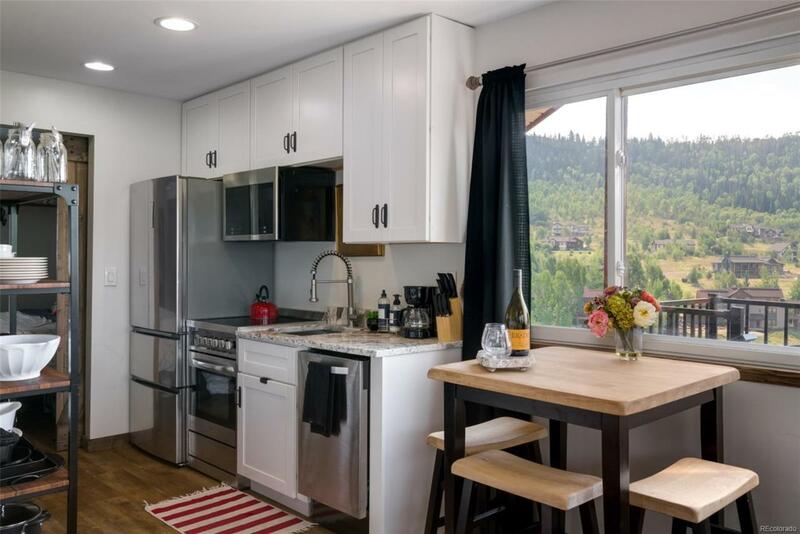 Situated in a quiet residential mountainside neighborhood, enjoy your morning coffee or evening dinner from the shared front deck space. From the bedroom, you'll be able to glance out the window to see Steamboat's iconic Thunderhead lift operating on the ski mountain. Luxury finishes and full sizedappliances make the condo a great full-time residence or a comfortable weekend getaway. Enjoy neighborhood walking trails and a convenient location to two free bus stops. An owners storage closet on the first floor makes it easy to store your gear and rent when you're not in town. Offered by The Steamboat Group.